MV Titus will be sailing Asia to North America trade route on her maiden voyage and has been specially designed to reduce energy consumption and emissions per tonne/km cargo transported. 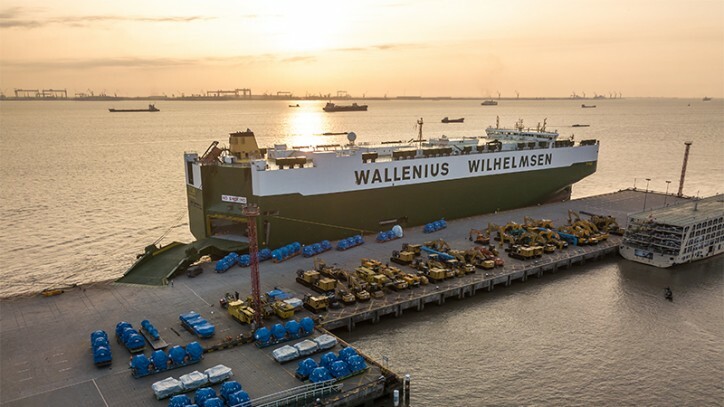 “For a modern, efficient and environmentally sound fleet, Wallenius Wilhelmsen continues to replace older tonnage with modern vessels in line with our long-term plan. As she starts her journey, Titus is one of the most efficient neo-panamax vessel on the seas,” says Michael Hynekamp, President & COO of WW Ocean. The advanced hull is tailored for efficient operations in a wide range of sea conditions and dramatically improves the cargo to ballast ratio. Extensive model testing has been performed to optimize the hull to reduce drag and wave resistance, thus improving fuel efficiency. The engine has been tuned for low-load operation to reduce the specific fuel consumption in normal operation and she has an efficient bunker system that can operate on different bunker qualities. 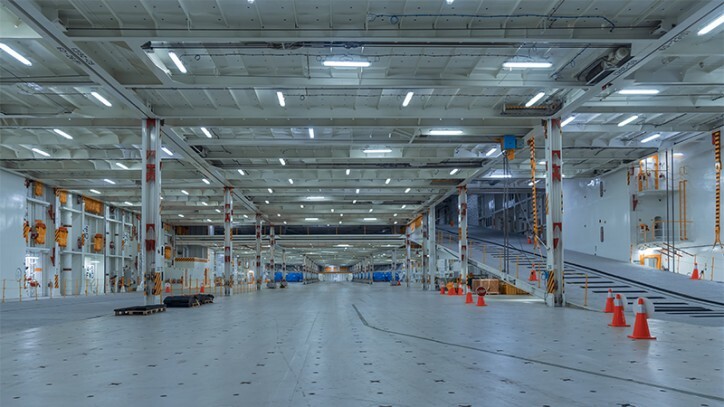 The cargo hold, with its two-pillar design and electrically hoistable deck panels, allows for flexible operations and is optimized to transport breakbulk, rolling equipment and cars. 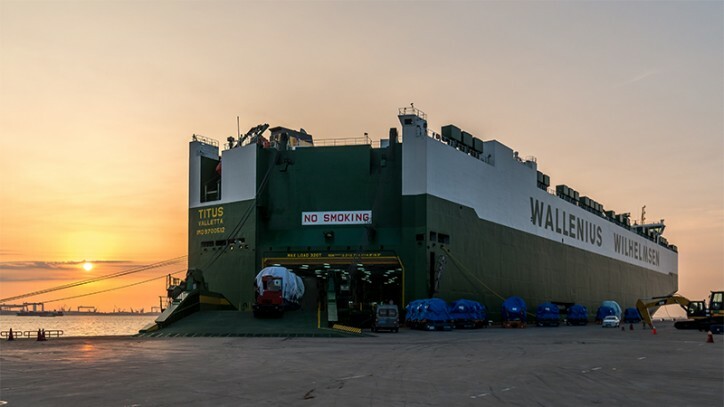 Titus is the first Large Car and Truck Carrier ever built at CSIC Xingang and the first Chinese built LCTC in the WW Ocean fleet. From pre-contract stage to delivery, the project was supervised by Wallenius Marine. The second vessel is expected to enter service later this year with two more due in 2019. WW Ocean already has four vessels of the HERO design in operation, which have proven their ability to deliver from an operational and environmental perspective. The four new vessels will have a combined capacity of 32 000 car equivalent units (CEU), adding flexibility to the WW Ocean fleet. 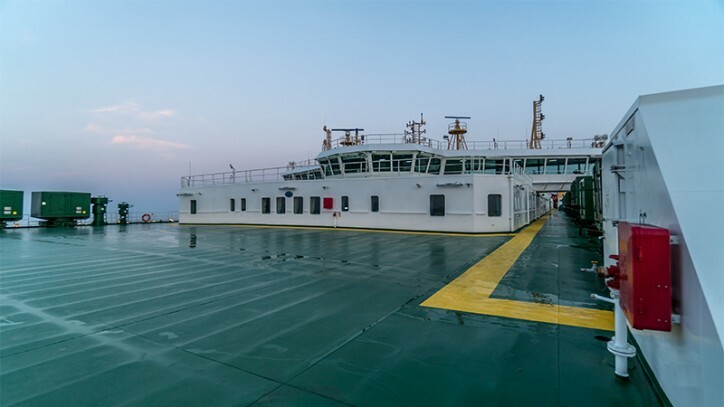 “We see that the global RoRo capacity is becoming more balanced, and our focus is to make sure we have a flexible fleet, able to ramp up and scale down capacity in line with customer demand. As rates remain under pressure and CO2 regulation for shipping is evolving, we continue to monitor developments and do not currently have any additional vessel orders planned,” says Hynekamp.